Brojan was born in the Eastern Provence on Bajor in 2354. Growing up during the Bajoran Resistance all Vottam wanted was to be a Doctor. The day he was old enough to hold a scalpel he started to pitch in wherever he could helping the Doctors in the Resistance with the wounded Resistance fighters. When he was fifteen the Cardassians withdrew from Bajor and the Federation came. Impressed by the medical technology possessed by the Federation Vottam decided he wanted to be a Federation Doctor getting sponsored by the Emissary Captain Sisko shortly after his sixteenth birthday. 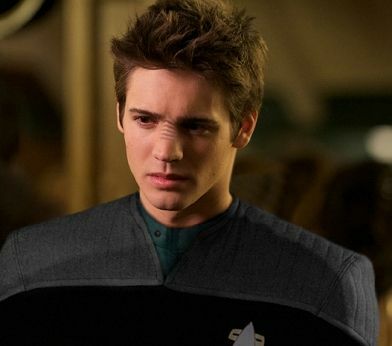 In August 2372 Brojam left Bajor for Starfleet Academy to attend Starfleet's Medical Academy as a Freshman. Excelling in his studies while on Earth Vottam saw Starfleet basically send him home during his Fourth year of residency in 2379 when he was assigned to the newly constructed Deep Space Nine (II) as part of it's larger medical staff.